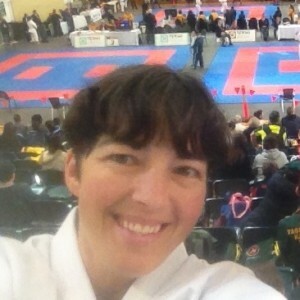 Kintora's instructor, Suzie Jones, is a 5th Dan black belt who began her martial arts training at the age of 15. At the age of 17, she joined the Zanshin Shotokan Karate Club under the late Shihan Stephen Xepapas. In 1990, Sensei Stephen asked her to start teaching kids classes at the North Hobart dojo, which she undertook with great pleasure and enthusiasm. After spending 4 years training in Japan, Sensei Suzie returned to teaching karate under Sensei Stephen at North Hobart in 2002. In 2013, with encouragement from her instructor, she opened her own club in New Town. Following his sad passing in 2014, Sensei Suzie decided to honour his memory and continue his teaching by starting her own school of karate, Kintora Shotokan Karate Do. Sensei Suzie is a fully accredited Bronze Level Karate Coach through the government recognised National Coaching Accreditation Scheme. 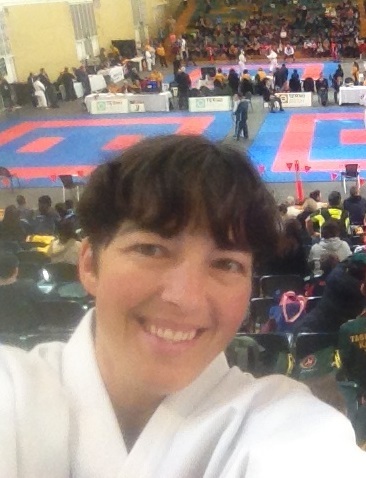 She is also Head Coach for the Tasmanian branch of the Australian Karate Federation. In 2013, she came out of competition retirement and won 2 silver and 1 bronze medal at the AKF National Championships, and also won 3 gold, 1 silver and a bronze medal at the AKF Tasmanian State Titles. While she enjoys competing and coaching, Sensei Suzie’s real love is the traditional side of karate as an art. Her favourite saying, passed on to her from her instructor, is that “karate comes from the heart”.